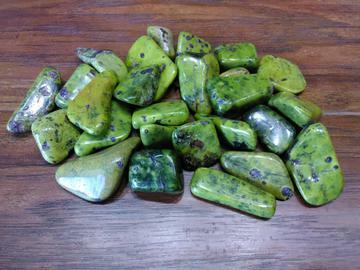 Serpentine is an Australian mineral with lovely, waxy, olive and green colouring. Stichtite is a rare and unusual carbonate. Stichtite has a somewhat dull purple pink to purple rose-red colour. Together they provide great contrast in the patterned faces of the pieces. It can promote a more relaxed attitude to life and making us more aware of our own emotions and promoting inner peace. 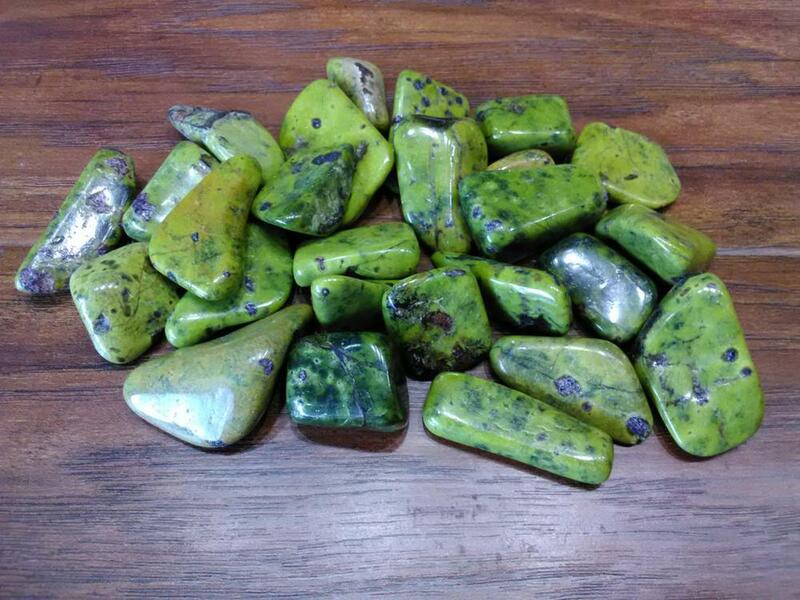 This combination can also be used in meditation to both access and retrieve ancient wisdom and information about past lives especially access skills and knowledge from past lives in Atlantis, plus using it for kundalini awakening.